Includes 3 customer stories using Yanomaly. White paper: WHAT DOES ARTIFICIAL INTELLIGENCE HAVE TO DO WITH ASSET MAINTENANCE? ​Asset monitoring systems based on artificial intelligence allow industries to reduce unplanned downtime, reduce mean time-to-repair, and increase the return on investment of maintenance operations in both the manufacturing and process industries. 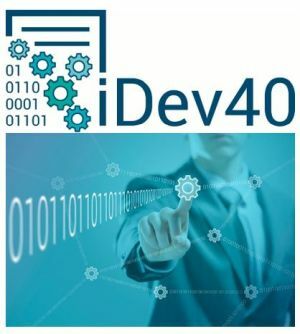 IDev40 Research Project "Integrated Development 4.0​"
Development and production teams will be networked with each other, independent of their locations, and communicate in real time along the value chain. Processes can be virtually mapped by digital factory and product twins and can thus be simulated comprehensively. Artificial intelligence and machine learning play a central role in all of this. WATER-LINK DEMONSTRATES THE POWER OF PREDICTIVE SOFTWARE FOR ITS WATER NETWORK WITH THE HELP OF YAZZOOM. An article from our customer Water-Link, on the Proof of Concept project on the detection of anomalies in the water network of Antwerp. ITEA3 Reflexion Project "React to Effects Fast by Learning, Evaluation, and eXtracted InformatiON"
The demonstrator is based on a virtual industrial system (i.e., a production line with multiple machines), which has the common functionalities of high-tech systems, such as lithography machines and professional printers, etc. 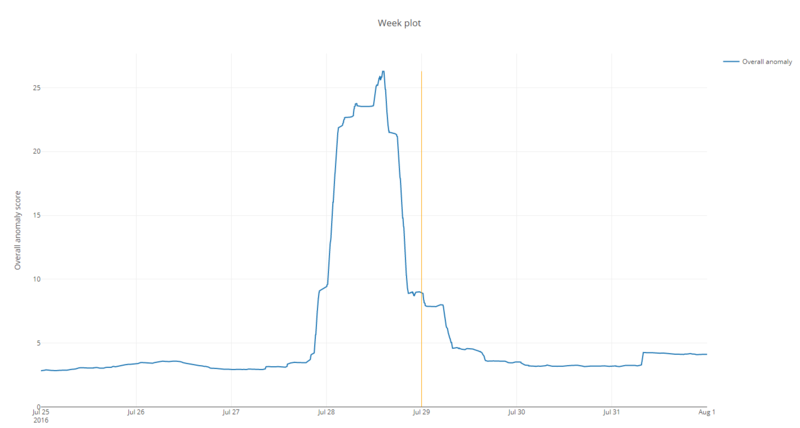 We have developed a simulator of the system and generate the operational data. As an industrial showcase, ESI’s demonstrator presents “Smart high-tech system-diagnostics with operational data”. ​One of the fundamental issues of root-cause analysis is how to detect anomalies from data. Yazzoom’s advanced unsupervised anomaly detection techniques have been applied by ESI’s demonstrator in the following two aspects. ​To diagnose a specific machine issue and narrow down the space of causes, we use the operational data generated by the machine components. Basically, anomalies are identified based on the operational data. This is achieved using unsupervised learning techniques, which are able to detect anomalies without efforts from domain experts. ​Machines, systems and devices generate more and more data, and collecting this data centrally (by using IoT or any other data platform), or analysing it on premises are also both easier than ever before. Under the form of sensor readings and log files containing information about internal processes steps, performance or user interaction for example, but also data external to the equipment, such as the properties of raw materials or ambient temperature and characteristics of the electrical network powering the system, this massive amount of information contains valuable, actionable insights. Advances in machine learning and artificial intelligence make it possible to use this data to enhance most aspects and phases of a product’s life cycle. 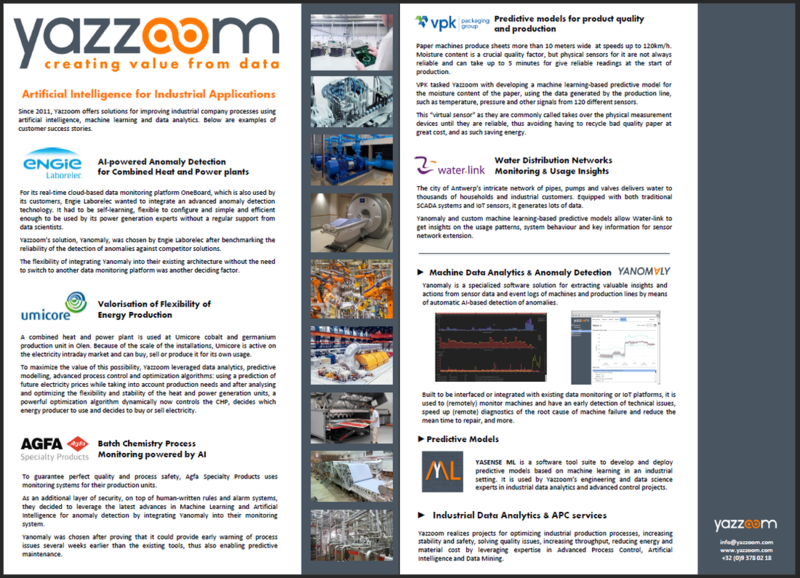 This pages contains links to various documents, articles and videos about Yanomaly andAnomaly Detection for machine data.